The nollywood actress who appeared to be frustrated by Mercy’s attitude claims ‘Mercy u pushed me to the extreme kilode? alabosi ni e mercy…” Toyin posted on her instagram page. 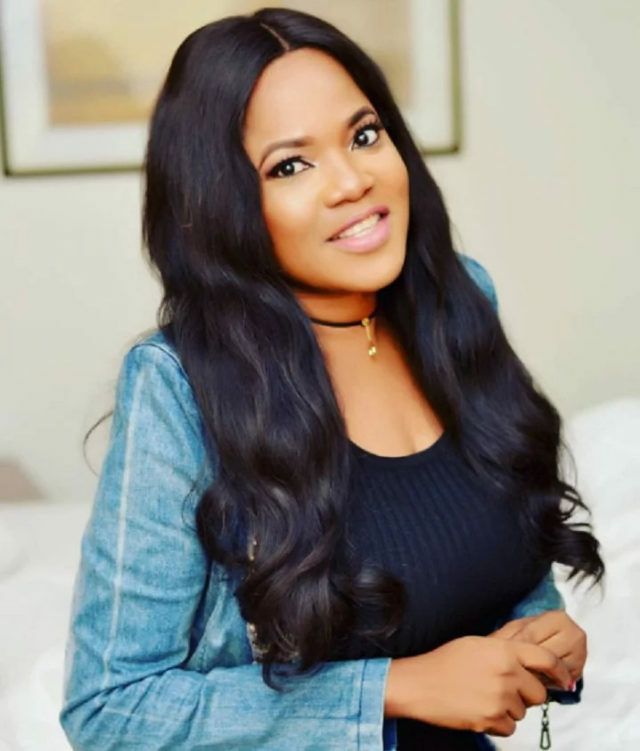 Toyin Aimakhu has publicly called her colleague Mercy Aigbe a big for nothing hypocrite. colleague, Mercy Aigbe’s page to blast her, calling her a hypocrite after she posted a photo of Omoni Oboli’s books which she bought to give away to her fans. Toyin and Omoni seem not to be in good terms, and Toyin is saying Mercy Aigbe always does that whenever her colleagues are having issues. It all started when Toyin was not included in Omoni’s new movie, “Wives On Strike”. Toyin played an important role in the first edition as (Iya Bola) in ‘Wives on strike the revolution’ and they all believed she still had a role to play in this new production. Toyin is missing from the poster Omoni shared and her name was excluded on the cast listing. In place of Toyin Abraham, Omoni used Mercy Aigbe who is making her debut in the movie. 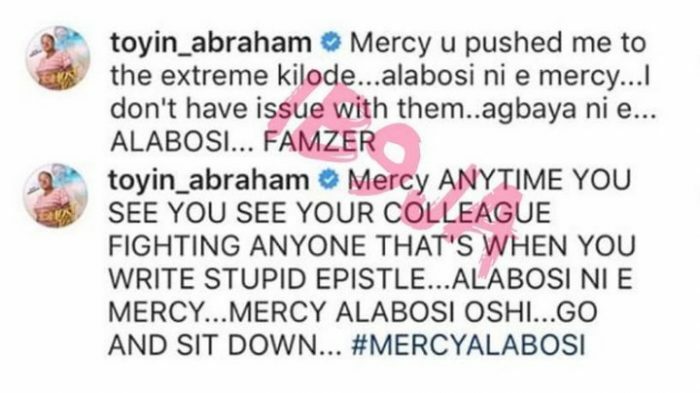 Well, Toyin is not happy and has taken to Instagram to blast Mercy.